Alliance for Tompotika is a non-profit international partnership 501 (c)(3) organization based on Vashon Island, Washington, USA and in Indonesia as a registered Yayasan dedicated to conserving and appreciating the unparalleled natural and cultural heritage of the lands and waters around Mount Tompotika, Sulawesi, Indonesia. (for more information on this ngo, please refer to www.tompotika.org ) I developed and taught an art and ecology workshop entitled, “AlTo Tompotika Calendar Project.” Twelve students were chosen from different villages in the area to home stay in Teku, a small village near Mount Tompotika for two weeks. The workshop included instruction in art techniques, two field trips into the rain forest and coral reef areas nearby and culminating in the creation of art for the 2010 calendar. 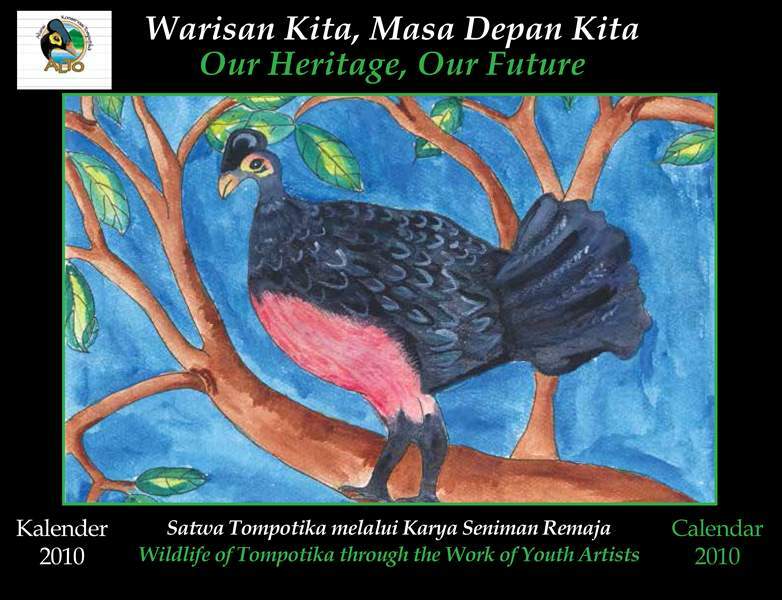 The calendar was printed in the USA (2,000 copies) for donations to continue AlTo’s conservation work, and in Jakarta (1,500 copies) to be given away to local schools and other organizations to promote conservation and protection of native species and habitats. This program is part of an educational grant that funds artists to work in the local school system on Vashon Island incorporating art projects as part of the curriculum. Since my interests also include environmental issues and concerns, my programs usually involve both an art project and an environmental message or concept. I have developed several classroom projects over the years for this organization and taught grades 3-12 depending upon the subject matter. TESOL instructor assistant at North Seattle Community College and Highline Community College for adult refugees. The classes included reading, writing and grammar at different leaning levels. I have Completed Oxford Seminars 60-hour intensive TESOL/TESL Teacher Training Certification Course.